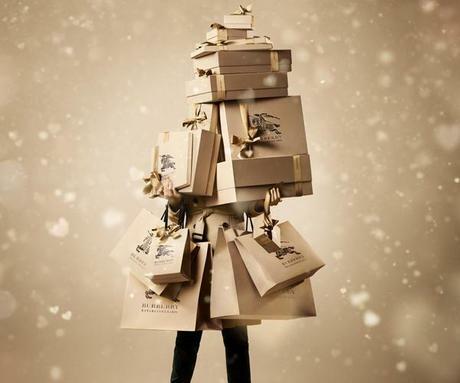 The famous British luxury brand Burberry has introduced its Christmas 2013 campaign, Burberry With Love. 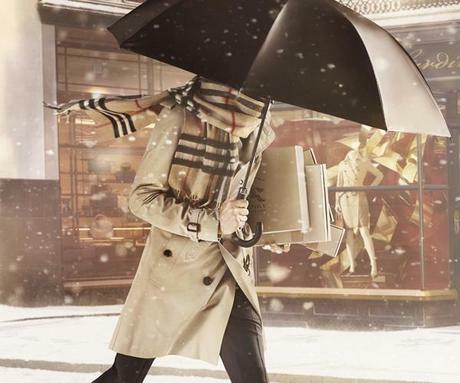 This year ,quite early, many famous brands have released their holidays collection and campaigns and Burberry is not an exception. The new campaign reflects the iconic pieces of the brand . 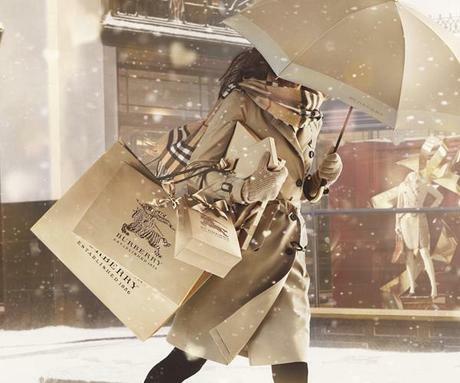 The famous black-red-beige print on scarves and umbrellas in conjunction with the classic beige trench reminding us the must-haves items of brand Burberry, the ones that will never go out of fashion. 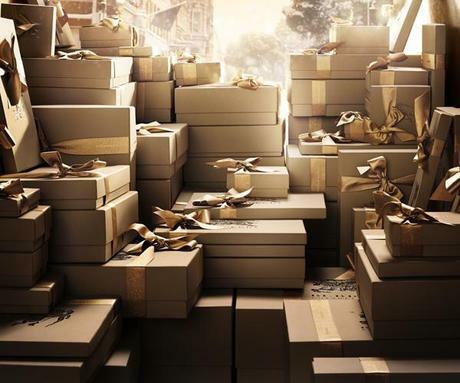 The campaign creates a festive mood : the craziness of buying gifts before Christmas on a snowy day. 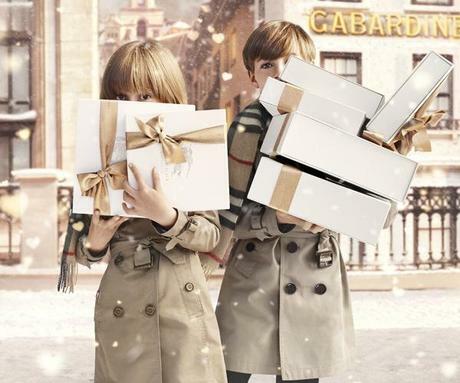 Also the gifts from Burberry are wrapped in festive beige packaging is another reminder that Burberry is the right choice for a great gift !